Some types of vehicle and driver seem to pose a much greater risk to cyclists, runners and walkers than others. Here is a guide for cyclists and pedestrians who have to share the road with normal traffic. I enjoy walking long distances. Often in the bush but also along roads too. Long walks often take me into the country to follow rural roads. The thing about rural roads, and plenty of roads in Sydney too, is that there are no footpaths. That means walking along the shoulder, if there is one. Plenty of roads are so narrow that there isn’t even that. And a pedestrian on the open road is inevitably going to encounter cars, trucks and motorbikes. One thing that has struck me (not literally, thank goodness) is the sheer aggression some drivers show towards me when they spot a pedestrian with the temerity to invade their territory. I suspect the experience is the same for cyclists, although for them maybe even all the more terrifying as they can’t leap out of the way like I can: they are stuck on the road to take their chances with the traffic. The influential anthropologist Mary Douglas in her 1966 book Purity and Danger defined “dirt” as “matter out of place”. The book is all about the boundaries humans construct around the sacred and the profane. The pedestrian or cyclist on the open road is clearly “matter out of place”. In the minds of many motorists roads belong to motor vehicles and nothing else has any business being there. Some drivers appoint themselves as boundary-keepers , their task to drive such profane aliens as cyclists and pedestrians back to their proper place and thus maintain the purity of the road. I have noticed a pattern in the types of driver and vehicle most likely to be dangerous to a pedestrian and also, I assume, to cyclists. The worst of these will actually physically attack, using their vehicles as weapon. This can and does lead to injury or death. Cyclist Dominic Mason was killed near Newcastle in 2007 when the driver of a semi trailer deliberately swerved into him. He never explained why he did it, instead denying responsibility. The driver was found guilty and was jailed for this attack, however. In August 2013 a 57 year old cyclist in Tasmania was killed when a ute struck him from behind on the Channel Highway at Huonville. At about 11:20am on July 4, 2013, a Thursday morning another cyclist was killed when a ute hit him. This time it was at Mermaid Waters in Queensland. These incidents are, sadly, not rare. A simple online search will reveal death after death. Cyclists especially seem most at risk. 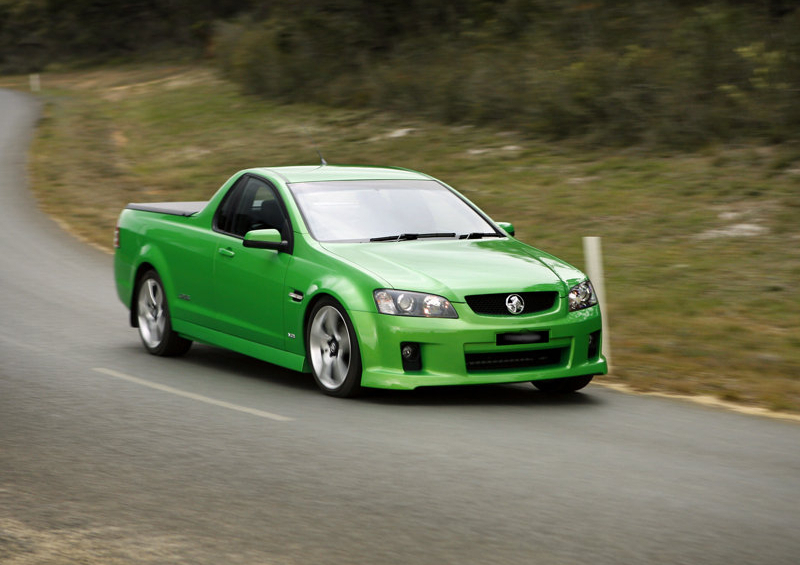 Holden Commodore, Ford Falcon, Holden Commodore-derived ute, Falcon ute. Behaviours include actual violent acts of aggression such as swerving towards the runner/walker/cyclist. Also acts of more symbolic violence such as beeping horn. Estimated 96% likely to shout at and/or beep horn at pedestrian (or cyclist?). Tend not to swerve however. These are the young bucks of the road, just testing the waters but not yet ready to fully attack prey that belongs rightfully to the alpha males of their breed. 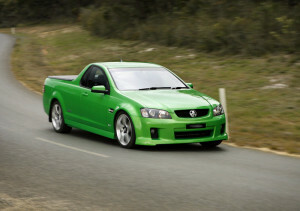 Many will mature into fully fledged swervers before too long, possibly as soon as they can afford a ute. a) Certain types of truck including pantechs and dump trucks. Semi trailers and other articulated trucks are generally not as risky, but care should still be taken. b) “Macho” types of 4-wheel drive such as Landcruisers, big old Fords and Jeeps. c) most vehicles with after market spotlights attached. Self-absorbed city drivers. These people are completely oblivious to things and people outside of their normal environment. Their focus and motivation, typically, is on what they need at any given moment for themselves or their children or their dogs. This is to the exclusion of the needs, comfort or safety of any other people. This is their mode of behaviour in their daily urban life too. It can be very dangerous on the open road when they are driving at 100+ km/h centimeters away from a pedestrian or cyclist. Nervous or over-cautions drivers. They will swerve to the other side of the road, if they can away from the pedestrian or cyclist. Perhaps it is an implied lack of confidence that said pedestrian/cyclist wont erratically leap into their path: a possible insult to the pedestrian/cyclist’s competence and/or sanity. However, while unnecessary it is appreciated. They are probably a risk to other drivers or to any cyclist/pedestrian on the opposite shoulder who they haven’t noticed. I’m a Cat 4 driver regarding bike riders – it is very difficult to predict if they are aware, or simply aggro and wish to swerve out for fun! Much easier to to figure out from body language if a pedestrian is ‘aware’. That said, I had a pedestrian walk backwards onto the road, and into the side of my car, after I’d seen him, stopped, waited for him to look, and then moved on slowly. I am also very aware of showering pedestrians with pebbles. So, Cat 4 for pedestrians too. I only wish all pedestrians were as tuned in as you are. I pass pedestrians, horses and cyclists in a category 4 manner when I’m driving. I also sometimes feel while I’m walking or cycling that motorists are treating me like a simpleton but I give them a friendly wave and assume the best. They’re erring on the side of caution and safety and that makes them good, responsible motorists. I think Taxi’s should be at number 1, along side the commodores and falcons. Yes, guess taxis could be up there especially for cyclists. As a walker I’m on the footpath wherever possible. Where there aren’t footpaths there probably tend to be fewer or no taxis. Anne, do bike riders really swerve out for fun? Sounds suicidal.